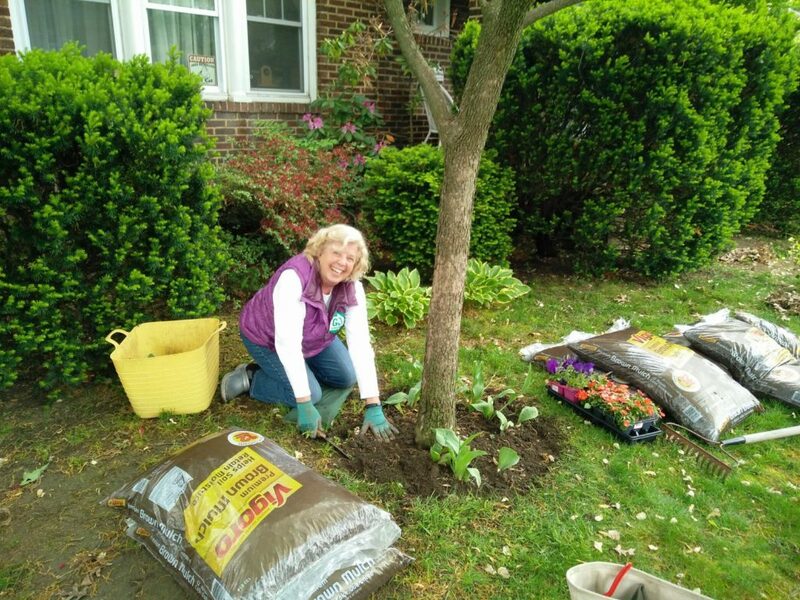 Brockley Avenue homeowner Donna Mclean embraced each volunteer one-by-one, the smile across her face revealing her approval with the outcome of her newly-landscaped yard. 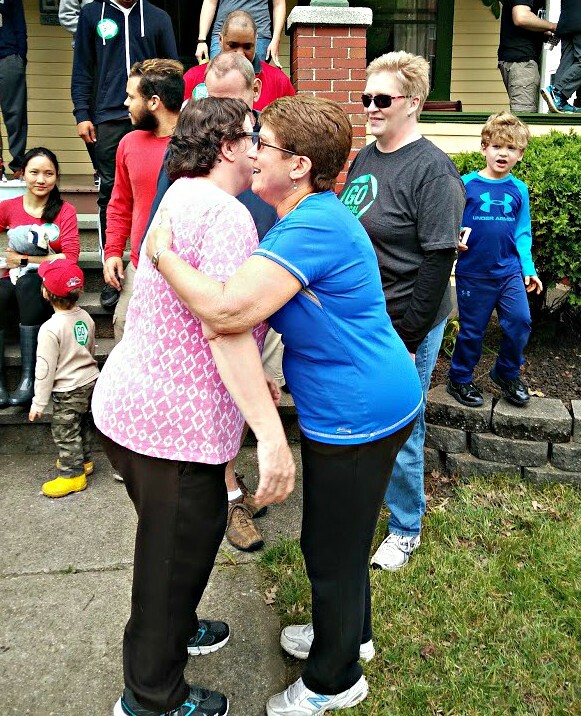 Homeowner Donna Mclean hugs a volunteer following the completion of a project to beautify her yard. 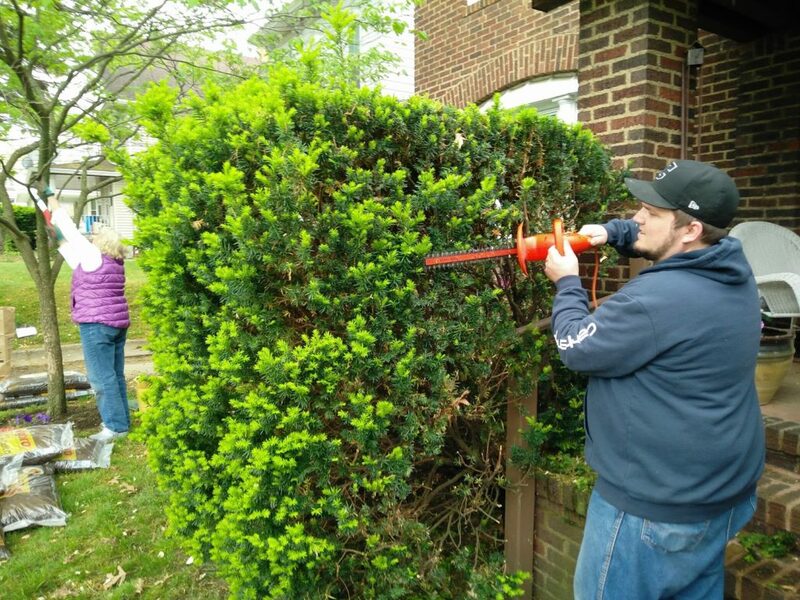 LakewoodAlive hosted 35 volunteers from Crossroads Church on Saturday, May 20, to tackle yard beautification projects for older residents on Brockley and Summits Avenues. 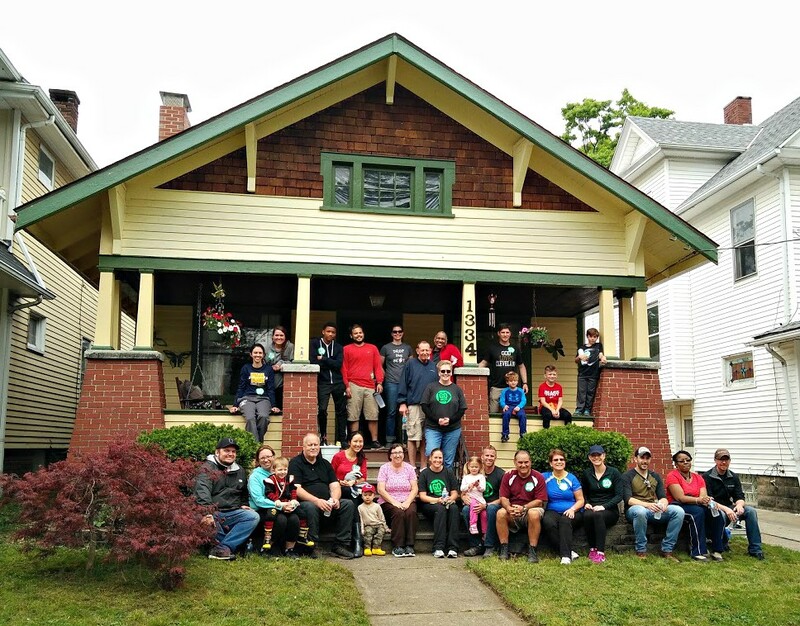 In addition to weeding flowerbeds, trimming shrubs, laying mulch and planting flowers, this tremendous group of volunteers cleared litter from a neighboring section of Detroit Avenue. 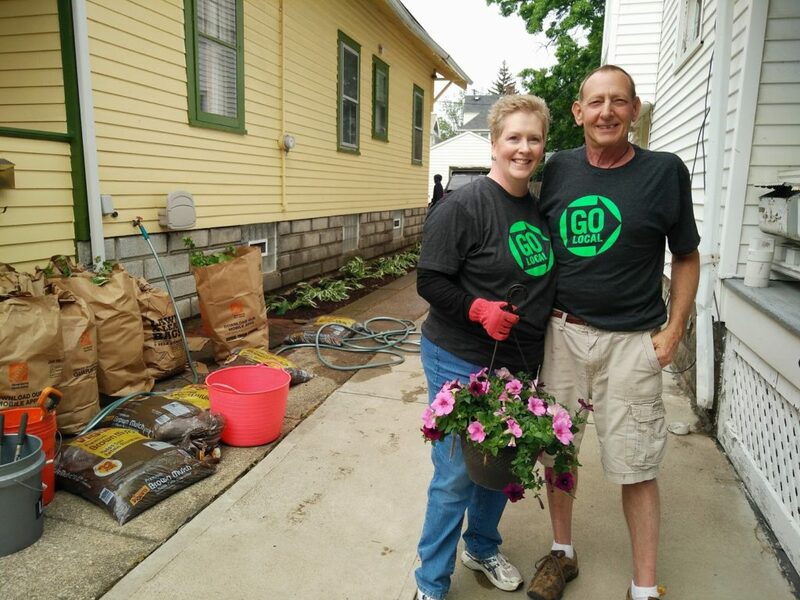 The massive volunteer effort was part of Crossroads’ “Go Local” campaign, for which 10 “anywhere projects” were completed on the same day across the nation outside of Cincinnati, where the church is headquartered. Wife and husband Liz and Michael Hammer, both Crossroads members, collaborated with LakewoodAlive’s Housing Outreach Program to organize the campaign’s Lakewood presence. 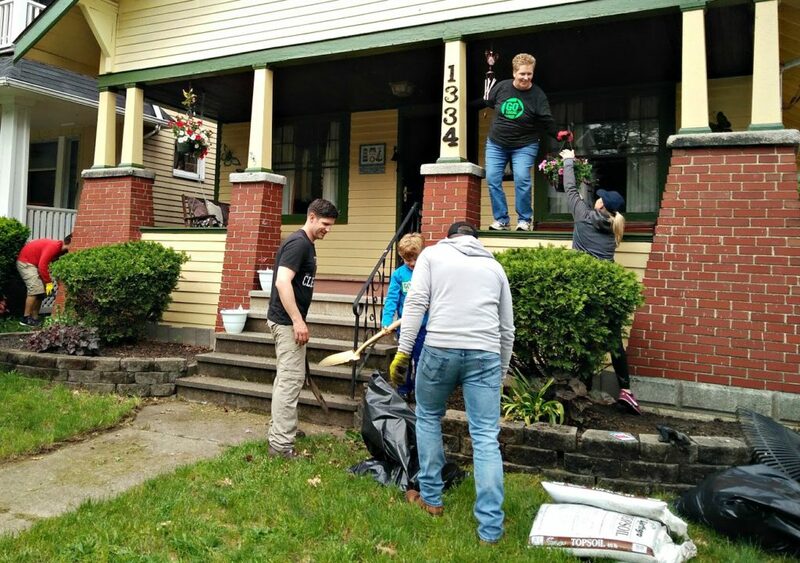 While many of the volunteers live in the eastern suburbs of Cleveland, where the local Crossroads congregation is based, others drove all the way from Cincinnati to participate. They arrived armed with a plenty of enthusiasm and a drone to capture aerial footage of their efforts. Wife and husband Liz & Michael Hammer coordinated this project for Crossroads. Mclean, a 40-year resident of a home on Brockley Avenue, served as one of the grateful beneficiaries of Crossroads’ “Go Local” campaign. When the projects wrapped up and celebratory hugs had been exchanged, the Crossroads volunteers headed to Edgewater State Park for a picnic lunch. 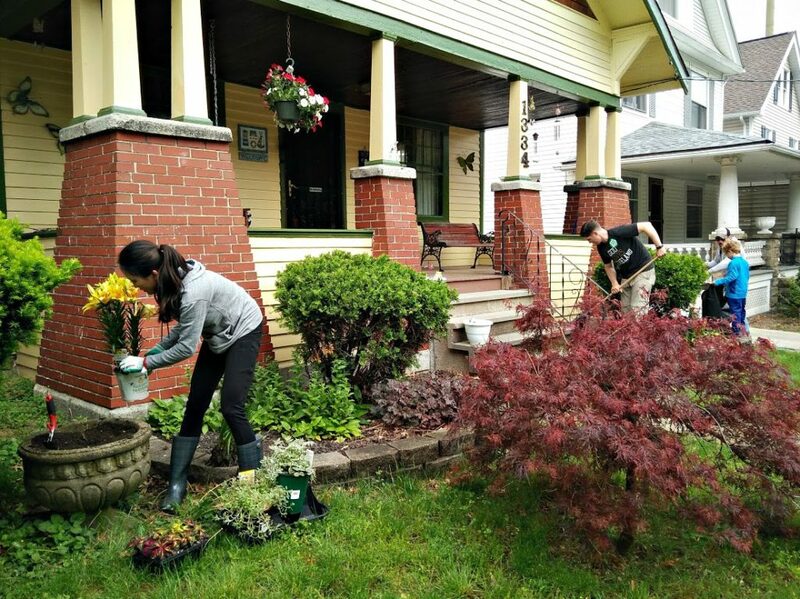 They were done beautifying Lakewood yards and ready to take in beautiful views of Lake Erie.